Saudi Arabia is fast-tracking an atomic energy programme to reduce its dependence on oil, but concerns over nuclear proliferation in the Middle East could put a damper on its ambitious plans. 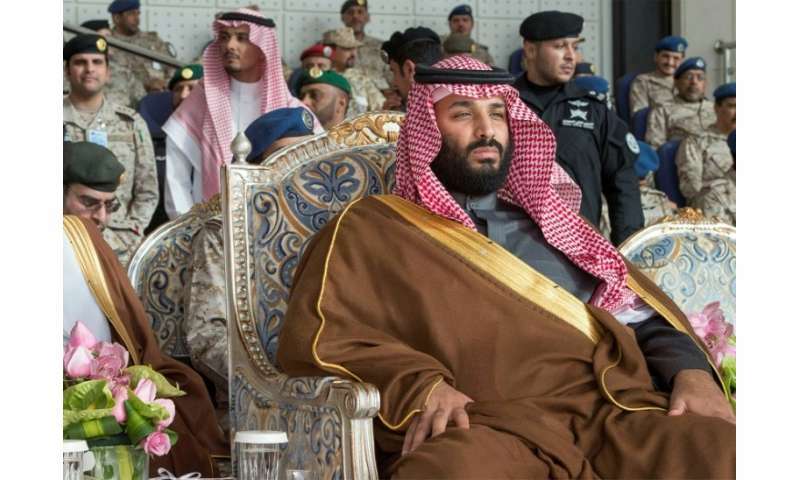 The atomic policy, which limits nuclear activities to peaceful purposes, was approved by the cabinet on Tuesday just days before powerful Crown Prince Mohammed bin Salman visits Washington. Saudi Arabia, the world's largest exporter of oil, has framed its nuclear project as driven purely by economics. The kingdom is struggling to meet fast-rising energy demand and crude prices remain far below their peaks reached before the 2014 market crash. Saudi Energy Minister Khaled al-Faleh said in October that the nuclear programme would start by building two reactors, each producing between 1.2 and 1.6 gigawatts of electricity. But the atomic ambitions of the key US ally and regional power are coming under scrutiny in Washington at a time of growing tensions between the US and Iran over Tehran's nuclear programme. The Saudi cabinet says its nuclear programme will be in "full compliance with the principle of transparency" and meet nuclear safety standards "in accordance with an independent regulatory and supervisory framework". The country has accelerated plans to build 16 nuclear reactors over the next two decades, according to officials and analysts, at a cost of around $80 billion. The reactors are expected to generate 17.6 gigawatts of electricity—10 percent of the country's power needs—by 2040. Riyadh is expected to shortlist next month two to three international firms out of five bidders from China, South Korea, Russia, France and the United States, according to Abdulmalik al-Sabery, a consultant in the business development department at King Abdullah City for Atomic and Renewable Energy (KACARE). In December, one firm will be selected to build the first two nuclear reactors, Sabery told Bloomberg News in January. Construction of the reactors will start next year although they are not expected to begin operating before 2027, Sabery said. Energy consumption in Saudi Arabia has been rising at more than five percent per year although growth slowed in 2017 after the government cut subsidies and hiked prices. Electricity consumption is expected to double over the next 15 years, reaching 120 gigawatts by 2032, Abdullah al-Shehri, governor of Saudi Arabia's Electricity and Co-generation Regulatory Authority, told AFP. The kingdom draws on oil and natural gas to both generate power and desalinate its water so turning to other sources of power, including solar, would free up crude for exportation. By 2040, 55 percent of the country's power supply will come from solar, wind, geothermal and nuclear energy combined, according to KACARE. The projects will cost the kingdom around $67 billion over the next five years, according to energy minister Faleh. But the Middle East Economic Digest last week estimated Riyadh had already spent over $82 billion on electricity projects in the past decade. Riyadh has signed cooperation agreements and memoranda of understanding with over a dozen countries in recent years to boost nuclear cooperation, including France, China, Russia, Hungary and South Korea. Its plans have sparked some controversy in Washington, where tensions are high over the atomic programme of Saudi Arabia's arch-rival Iran, which denies seeking nuclear arms. An American legislator, Democratic Senator Ed Markey of Massachusetts, has expressed concern over the efforts of US President Donald Trump administration to sign a cooperation accord with Saudi Arabia. Trump has threatened to tear up a 2015 global pact under which Riyadh's arch-rival Tehran—facing suspicions it was working towards a nuclear bomb—agreed to curb its atomic programme in exchange for a lifting of sanctions. Analysts have also warned that capacity to produce nuclear energy could potentially open the door to military options across the Middle East. "Concern about a nuclear arms race is fuelled by uncertainty over the future of Iran's 2015 nuclear agreement, a seeming US willingness to weaken its strict export safeguards in pursuit of economic advantage, and a willingness by suppliers such as Russia and China to ignore risks involved in weaker controls," said James Dorsey, a Middle East expert at the S. Rajaratnam School of International Studies in Singapore.